Insurance is among the industries already deploying and expanding the potential of commercial drones, eyeing two strategic objectives: better risk management through improved data collection and other one is reduced operational costs through improved efficiency and effectiveness related to claims. Improved transaction processing – Companies can potentially move from hands-on, time-intensive property inspections to a much faster process that allows their workforce to keep both feet firmly planted on the ground; reduce claims settlement time from days to hours, and help adjusters and underwriters obtain information faster than traditional methods. Resource efficiency – Because drones can increase inspection efficiency by some percent, insurance companies can significantly reduce the number of field adjusters and better balance deployment of specialized, high-skill resources. Employee safety – Drones allow adjusters to remain in a safe area during the site inspection, minimizing their exposure to accidents and hazardous conditions. But, as is the case with most transformative technologies, drones carry a number of regulatory, technology, and business risks and challenges that will need to be addressed before commercial drone use attains widespread adoption. Customer experience is paramount, the ability to shorten the claims timeframe is a crucial part of maintaining competitiveness in the insurance industry. Today, one claims adjuster on site and equipped with a drone can set up an automated flight plan around multiple insured locations; evaluate the properties using sensors, and capture images. Drones can improve the speed with which customers receive settlements and give claims managers a better sense of where and how many staff should be deployed. One way insurers can stay competitive is through policy pricing. Drones can be used to collect information about a property before a policy is issued by capturing data on property features that make it less vulnerable and this can facilitate personalized premiums as well. 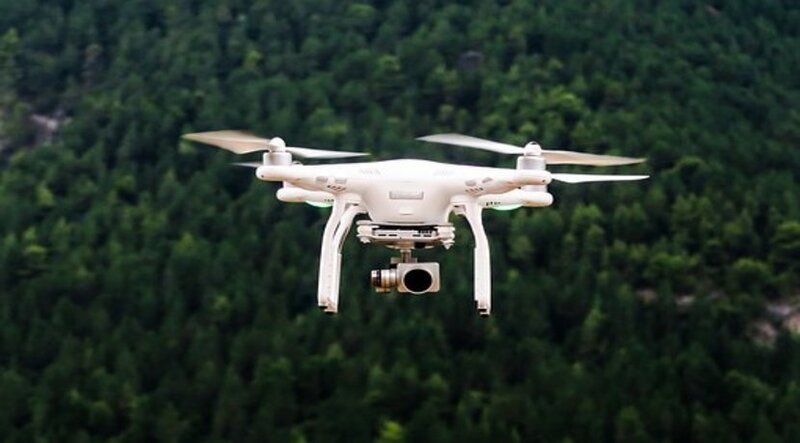 Article dated on January 21, 2019, stated that general insurers expect drones to boost their business. Even with e-commerce players, the insurance industry is excited about drone delivery of products after the civil aviation ministry released the draft guidelines on the drone policy last week. IRDAI chairman said that “The drone ecosystem is set to expand at a fast pace in various sectors where insurers can take advantage of it. The sectors like mining, agriculture, oil and gas, broadcast, telecom, and aerial filming sectors will be prominent drone users. UAVs or Drones are game-changer for the agricultural insurance sector too. The advantage of UAVs is that they can be flown at will and low altitudes, i.e., below the clouds. Since monsoon is the most important cropping season and a significant part of the season goes off without any optical satellite data due to lack of cloud penetration, UAVs come as the only solution to gather imagery data. Sudhakar Manda, Chief of Remote Sensing and GIS, from Skymet Weather Services said that they have successfully implemented crop yield estimation solutions by taking crucial data from UAV images as a replacement to field inputs and combining it with weather and other datasets for crop simulation models. Apart from that, they derived very accurate undisputable estimates for fraud detection, connecting the farmer’s data to cadastral information and a host of other new datasets like soil health card, etc., to improve upon precision. Drones are just one of the new technology with which life, business, and the global economy are being transformed.